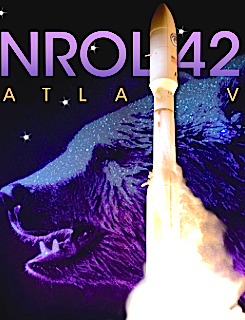 Hurricane Irma is now an event in the past, and so everyone moves forward, again, to prepare for the upcoming launch of ULA's Atlas V NROL-42 launch. Word from ULA indicates that everything is progressing toward the ULA Atlas V NROL-42 launch of a classified payload in support of national security. The mission, for the National Reconnaissance Office, is set to lift off on an Atlas V rocket on Thursday, September 21 from Space Launch Complex-3 at Vandenberg Air Force Base in California. The launch time is 10:38 p.m. PDT. This is going to be the company's sixth launch of 2017 and the 121st launch, overall. NROL-42 will be the 25th mission that ULA has launched for the National Reconnaissance Office (NRO) since ULA's founding in 2006 and is the 73rd Atlas V launch sine the rocket's inaugural launch on August 21 of 2002.